New Jersey is often associated with a lot of bad things. And also neighboring hipper and bigger New York, does not help. People say that the Garden State has some of the highest taxes in the country. And that it is the most densely populated state with 9 million people on its tiny shores. If you would ask people around the country, there are no such things as best NJ cities for families. But, we will prove them wrong. The fact is that every place has its own ups and downs. And while Jersey has some pretty unpleasant minuses, it also has a lot of advantages. 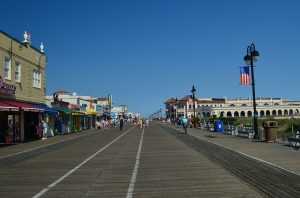 For example, its enviable location – you can work in New York and live in New Jersey. Or spend Saturday in Philadelphia and return home for dinner. No wonder lot of people are moving to New Jersey every year. Its rural farmland is a source of fresh local produce that you will find on farms, although mostly in summer. It is a beautifully diverse state and a state known for highly effective public schools, with one of the highest graduation rates for a high school in the country (2nd place in 2016). We can start our list of the best NJ cities for families with North Arlington. A suburb of 15 800 inhabitants, located in the county of Bergen, the most populous county in the state. North Arlington took the 8th place on the TIME’s list of “Best Places to Live in America in 2017”. The beauty of North Arlington is that it offers a sense of a small town, but promises all the benefits that you expect when living in the city. In this case, this city is perhaps the most famous in the world: New York. 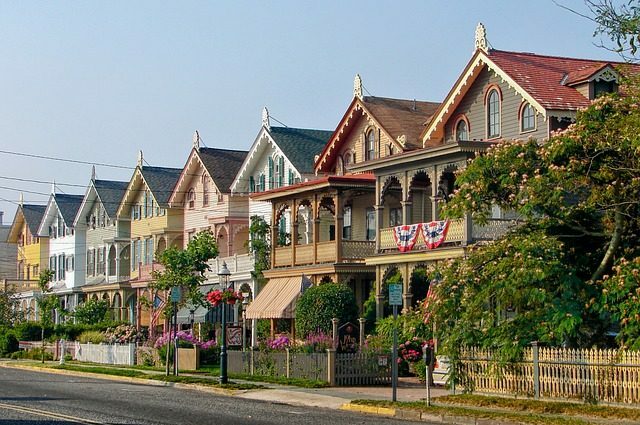 This suburb of New Jersey is just 15 miles from the most famous financial district in the world. Yes, we are talking about the one in New York City. The average cost of housing is $350,000, and the rent is $1,200 for a house with one family. Residents have access to an excellent school district, and also this area has a low crime rate. That fact puts North Arlington on the list of the top 10 best places to live in the country. As already mentioned, the Bergen county is the most densely populated part of the state. So, do not be surprised if you find a lot of cities from this area on the lists of best NJ cities for families. Ridgewood is another city of this county. The one that is characterized by a stunning blend of Victorian houses and farms. 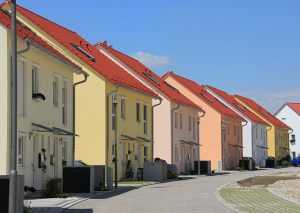 Houses in this area are out of high-quality materials. And it’s not surprising to know that the average cost of a house in this area is a huge $715,000, with rental prices averaging $1,980 per month. It automatically excludes it as a neighborhood for ordinary people. Of course, there are cheaper houses, but cheap is in the range of half a million dollars. But this did not stop people from hiring NJ movers and flocking here. Ridgewood is home of 25,000 inhabitants. Children have access to some highly rated schools. The city also offers access to a variety of parks, a thriving city center and other family oriented activities. White Meadow Lake is a city in Morris County with a population of just under 9,000 people. This area is often among the top ten happy places in New Jersey. But it’s really hard not to be, if this community is your home. The White Meadow Lake is one of the most picturesque places in the Garden State. And it really has a lake and meadows. Crime is something that residents are likely to hear about only on Facebook. And the unemployment rate is one of the lowest in the state. When you add median income of $ 115,000, excellent schools, and travel time for 20 minutes on average, it is reasonably on the list of best NJ cities for families. 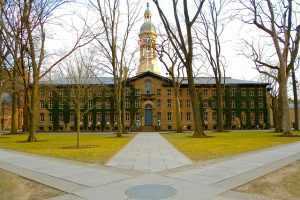 If the name sounds familiar, it is because there is the base of the prestigious Princeton University. Ivy League University is one of the best universities in the country. This may be the most famous address in the city of just under 30,000, but there is a lot that it has to offer. The location of Princeton is almost exactly between New York and Philadelphia, which makes it an ideal starting point for anyone who can make frequent trips to both cities. The cost of living can be a bit steep, with the average house cost of $780,300. But residents also earn decent figures of $115,000 per family. If you can afford it, then not many places in the state can be better for your home. Princeton is one of the top NJ cities for IT experts. It was the third best place to live in New Jersey in 2017. And first on the list of “Best College Cities to Live”. And we think that is enough to be among the best NJ cities for families. Oradell is a small town in the Bergen county, home to about 8,000 inhabitants. This is a very rich area, where the median home value fluctuates above half a million dollars. A significant part of its residents is well educated. And almost 80% of them have at least a higher education. Their efforts have not been lost without respect, since households in Oradea take home an average of $ 140,000 which, of course, is not bad. This is one of the safest places in New Jersey. A quiet city that is ideal for walking with family. And with Little Firehouse Theater as one of the main entertainment places. Which of the best NJ cities for families is the best for you? Well, it all depends on your preferences, because all of these cities are simply perfect for families. They are not very big or crowded. Your children will be able to grow up peacefully, and to go to the best schools. You just need to pick among the best NJ cities for families, find a place to live, and hire residential movers NJ. The rest is their concern. Previous Post How to choose the right moving boxesNext Post How to organize a yard sale?